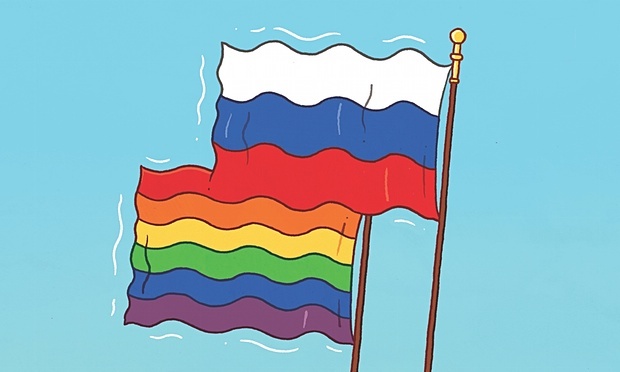 If Russia is not unique in its failings on gay rights, nor is Putin quite the singular villain he is so often presented as. Before the Sochi Winter Olympics he insisted that he was not homophobic, that he knew gay people and had gay individuals in his administration. In much of Europe that might sound tame, but for a Russian leader to say that in public was quite a departure. Outside the biggest cities, the Russian public, like the Russian Orthodox church, is deeply conservative. It is also worth noting that the Russian law regularly cited as evidence of institutionalised homophobia is little different from the UK’s notorious section 28, which banned the “promotion” of homosexuality in schools. When was section 28 repealed? In Scotland in 2000, and three years later elsewhere. We then traversed the path from section 28 to civil partnership and now gay marriage in just 12 years. So, if – and why not be optimistic and say when – Sir Elton John meets Vladimir Putin, their discussion could be longer and more serious than the singer expects. And John might also learn that it is not primarily Putin’s mind he needs to change, but that of the wider public – as in Ukraine, and many other countries besides. So let him take his music to Red Square, bring his family along, and appeal to the fans directly. Putin would probably not come and sing along – despite his apparent love of crooning – but he might just sneak a look from behind a Kremlin curtain. No, lady! Russia is uniquely evil and we must never stop going on about it coz Empire and brainwashing. That is why they have banned Sir Elton John!